Grimsby Jazz will host their first every Jazz Prom on October 18th at Grimsby Minster. 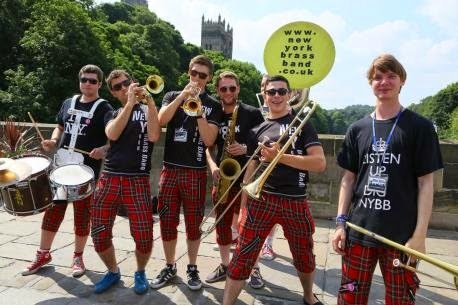 New York Brass Band will open the event in St James Square at 2.00pm, eventually leading the audience inside the Minster. From there, Steel the Rhythm, a steel pan drum group led by Lisa Oliver will perform until 3.00pm when afternoon tea is served. Grimsby favourites Ultraswing will close the gig later that afternoon. Tickets are priced at £10/5 for adults (with/without afternoon tea) and £4/free (with/without afternoon tea) for children. Tickets can be booked by contacting Grimsby Jazz on 01472 873730, Tourist Info Centre on 01472 323111 or Grimsby Minster Office on 01472 357610.